For Zeng Landscaping, our use of natural stone has grown beyond hard landscape applications alone. The use and processing of natural stone has led us into constructing stone cabinetry that will house outdoor kitchens. Our assistant designer is very skilled in this area – the possibilities for integrating our custom stone work are truly endless. 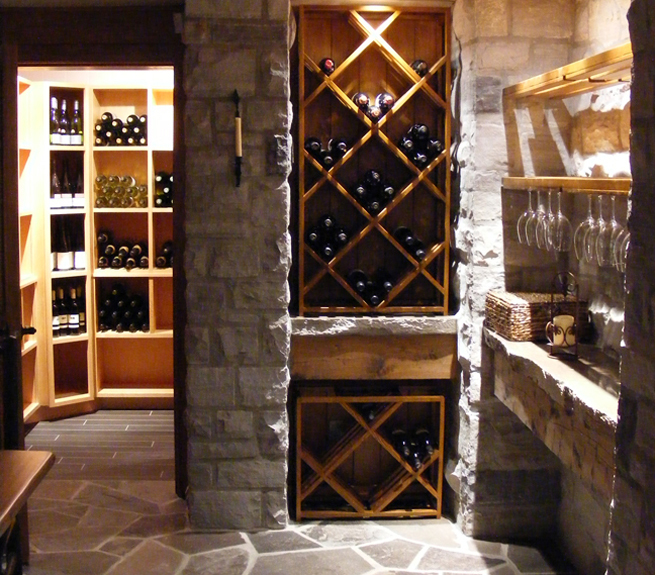 Over the years, Zeng has adapted custom stone work for use in wine cellars. These have been enhanced with polished stone counters, allowing our team to create a remarkably authentic feel.